Thomas Bushby is brother of the late Capt. John Bushby, R.N. 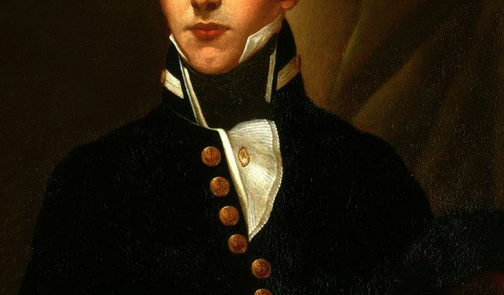 This officer entered the Navy, 14 July, 1804, as Midshipman, on board the Spy 18, commanded by his brother, Capt. J. Bushby, under whom we find him for many months in continual collision with the Boulogne batteries and flotilla. 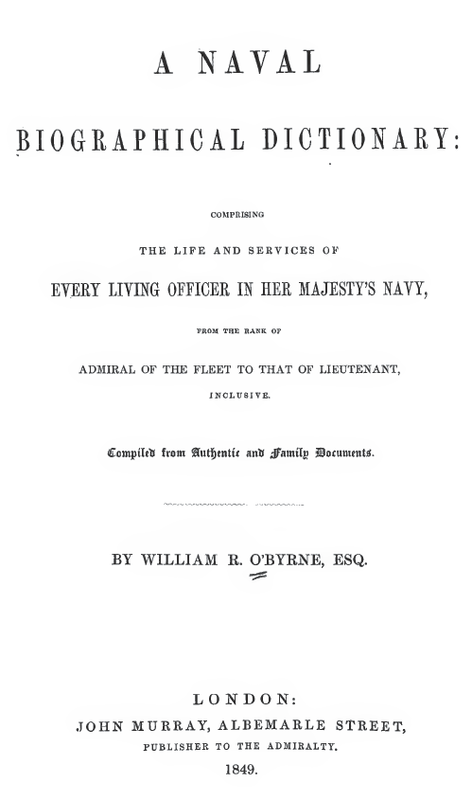 From Oct. 1805, until Sept. 1808, he next served, on the Home and West and East India stations, in the Obeeon 16, Capt. J. Bushby, Trusty 50, Capt. Brian Hodgson, ACASTA 38, Capt. Philip Beaver, Wasp 18, Capt. John Haswell, and Monmouth 64, flag-ship of Rear-Admiral Wm. O'Brien Drury, with the latter of whom he appears to have been present at the surrender of Tranquebar in 1808.